In 1996, we (Ramona, Stan and Carrie Adams) opened Stonekeepers to share our love of minerals, crystals and gemstones with the local community. 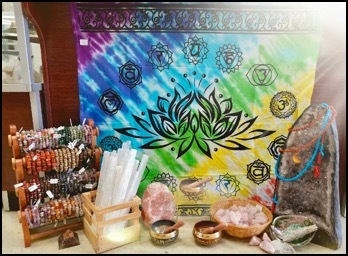 Over the years, the store has led us to a more spiritual path and has evolved into a very different place. Today, Stonekeepers provides much more than stones. Our mission is to empower individuals in their journeys towards inner peace and harmony. We welcome you to come find serenity in our space and ask that you allow us to become a stepping stone along your path through life.